The School of Art hosts small tours for prospective art students. Registration is required. Please Note: Tours do not include a portfolio review. Tours will meet in the lobby of the Foundation Building located at 7 East 7th Street. The School of Art holds a series of Open Houses every fall. This event provides prospective art applicants the opportunity to bring portfolios for review as well as the opportunity to learn more about the School of Art from faculty, current students, and alumni. The Open Houses consist of an orientation, a guided tour of the facilities, and an individual portfolio review by faculty or alumni of the School of Art. Registration is required. 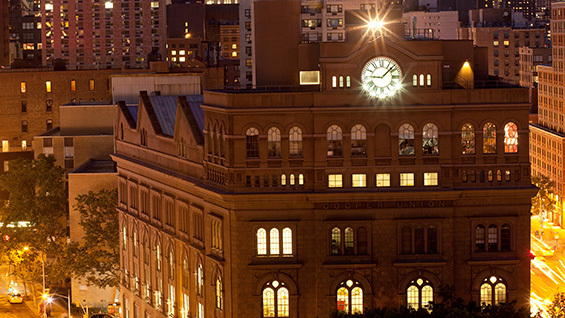 Open Houses are held in the Great Hall, located in the basement of the Foundation Building located at 7 East 7th Street. If you cannot attend an Art Open House on campus, the School of Art participates in select National Portfolio Review Day events nationwide. Please click here to see the 2018-2019 schedule.